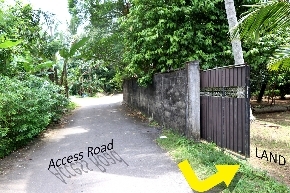 Superb Land in a calm but highly residential area with 400m to kottawa - maharagama 138 bus route. Water, Electricity facilities available. Expecting 18 lakhs per perch or the best highest offer. Only 1km to Pannipitiya Dharmapala Vidyala and Pannipitiya Nursing Home. *15 feet access road to land.